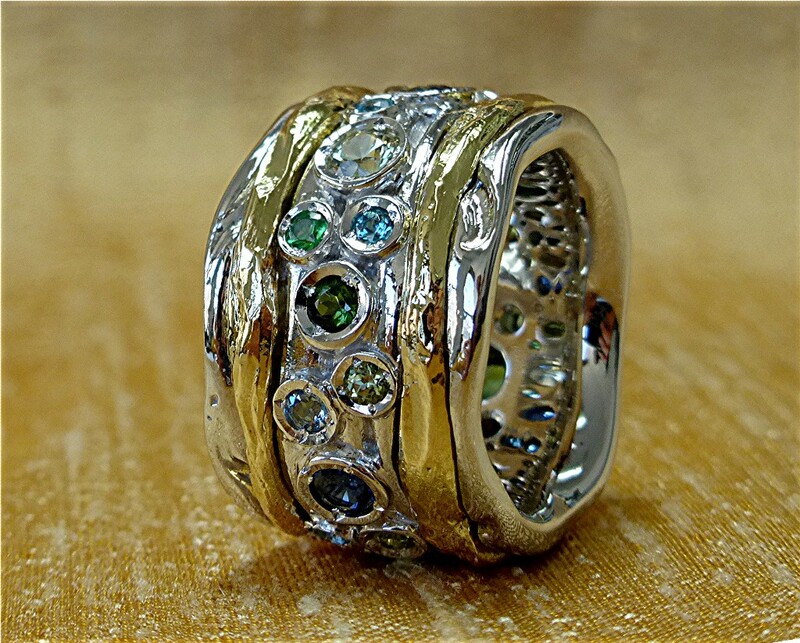 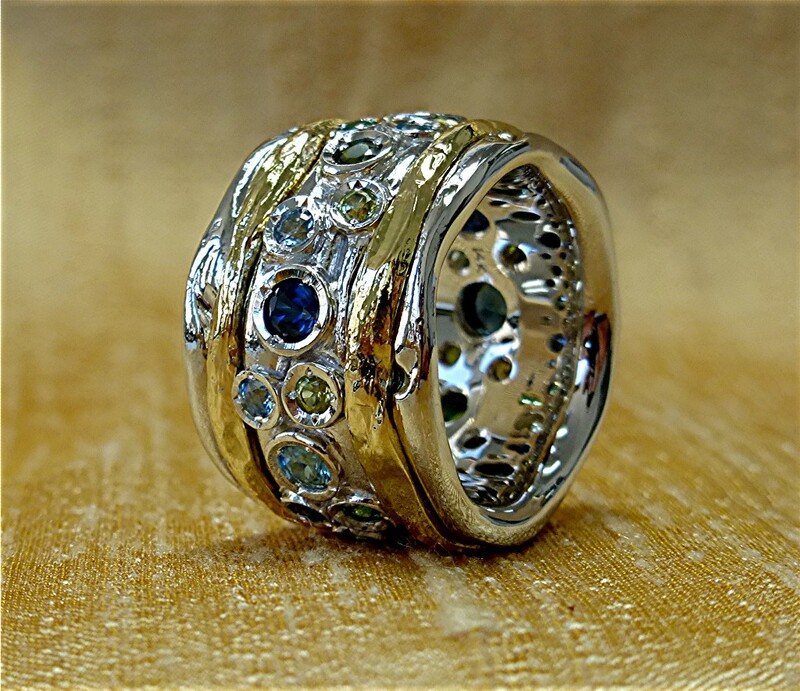 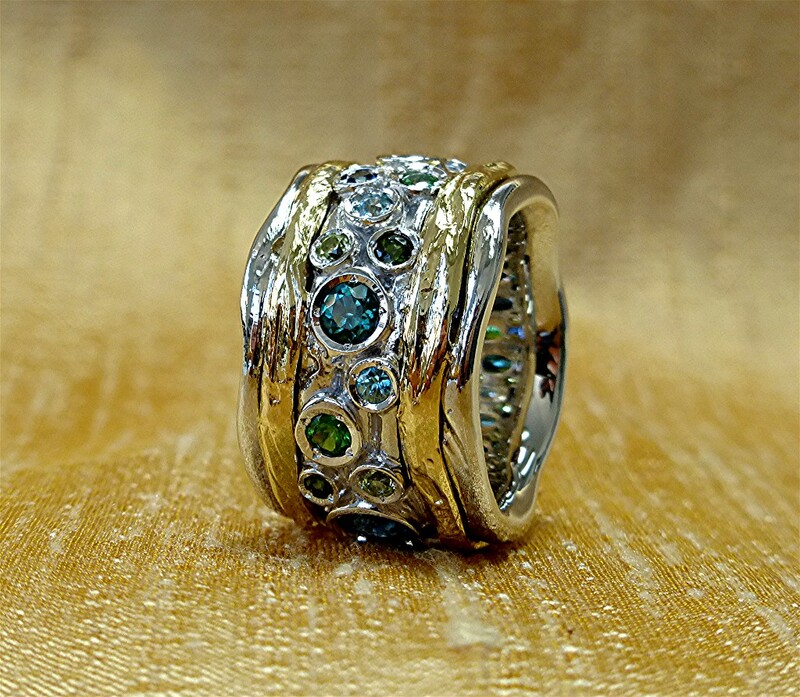 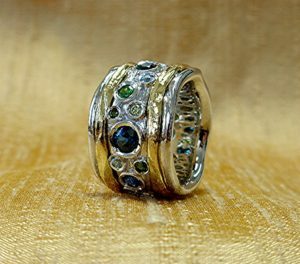 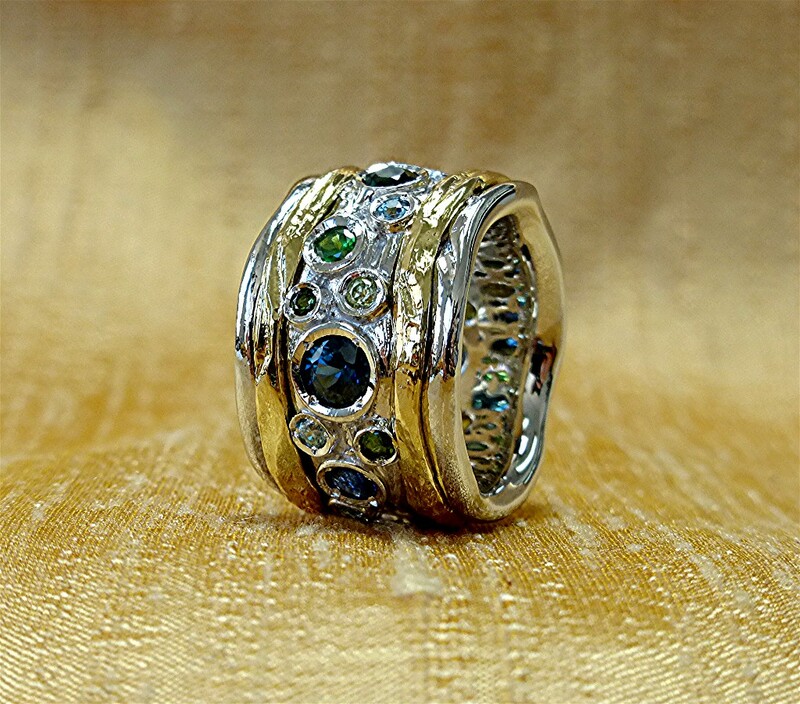 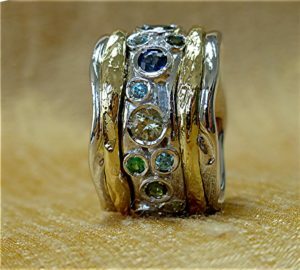 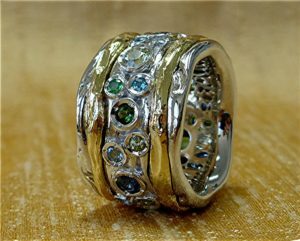 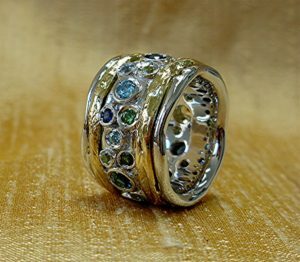 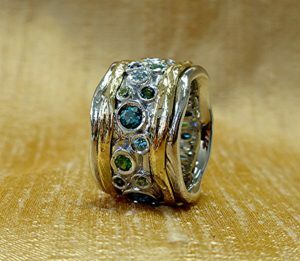 Nature and ocean Inspired ring, made of 14k white and 18k yellow gold and many natural stones, including: Royal blur sapphire, green sapphire, green tourmaline, bluish tourmaline, blue zircon, peridot, green amethyst and tsavorite . 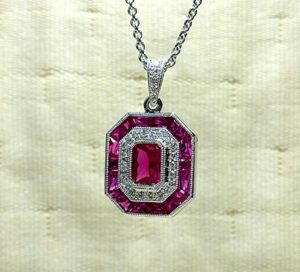 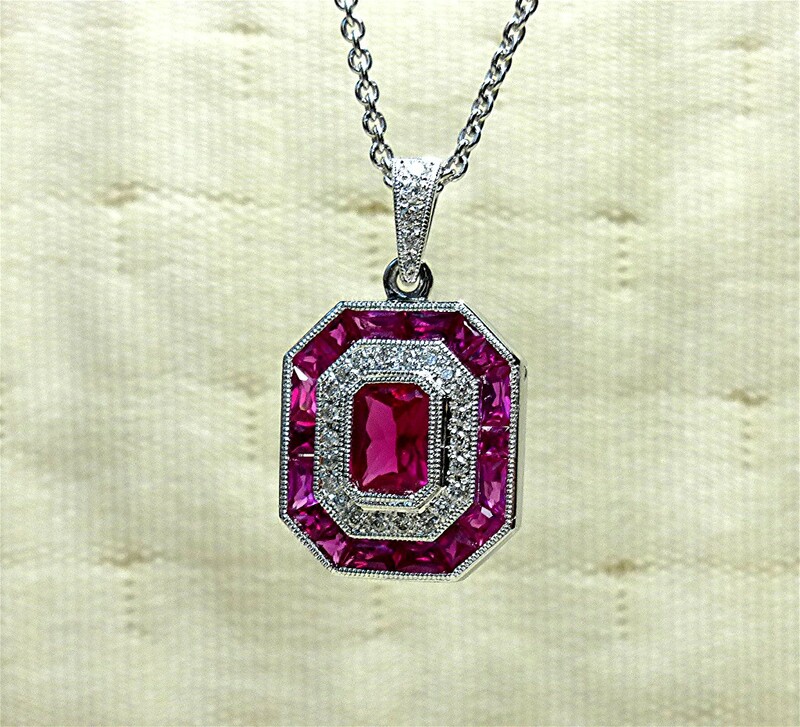 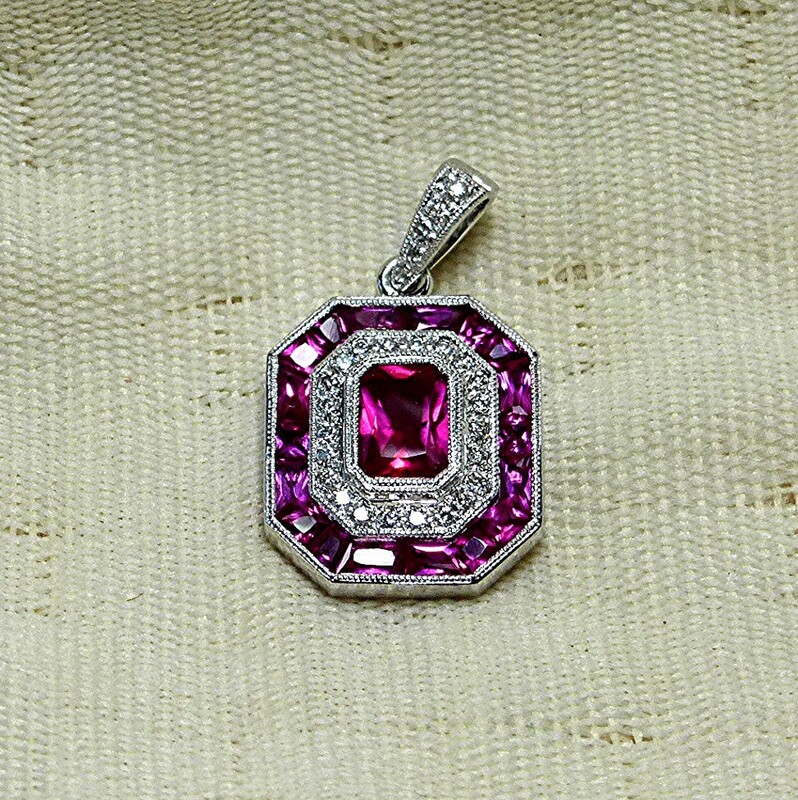 Pendant is made of 14k white gold and lab created ruby. 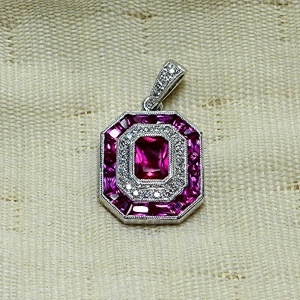 Center stone is 7x5mm and channel set special cut rubies totaling 3.10 carat. 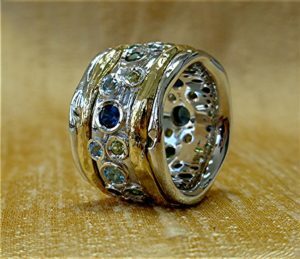 Also 27 RBC bead set diamond for total of 0.22 ct used around the center stone and bail.